At its annual holiday party, Marblehead Rotary Club members were generous in their support of the Marblehead Fire Department’s annual toy drive. Armed with packages both large and small, Rotarians continued to demonstrate their ongoing commitment to better our extended community. 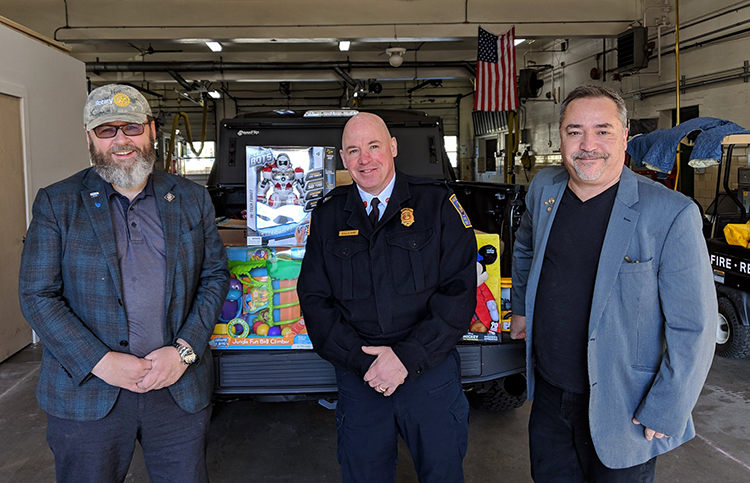 Marblehead Rotary Club President, Alexander Falk and Marblehead Rotary Club Past-President, David Deutsch delivered this truckload of gifts to the Chief of the Marblehead Fire Department, Jason R. Gilliland. Gilliland expressed appreciation for the Clubs’ support of the department’s efforts.